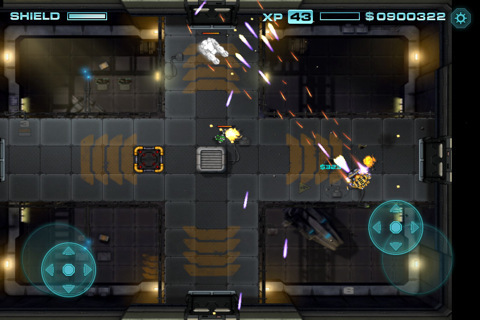 Robokill is an excellent iPhone/iPad action game with awesome features. The story involves, journey to Mars orbital station Titan Prime, a desolate outpost infested with a hostile army of ultra-violent robots. Knock out motion-sensing gun turrets and blast your way through room after room of swarming droids to liberate Titan Prime. Download the game for iPhone/iPad for $0.99 from iTunes.